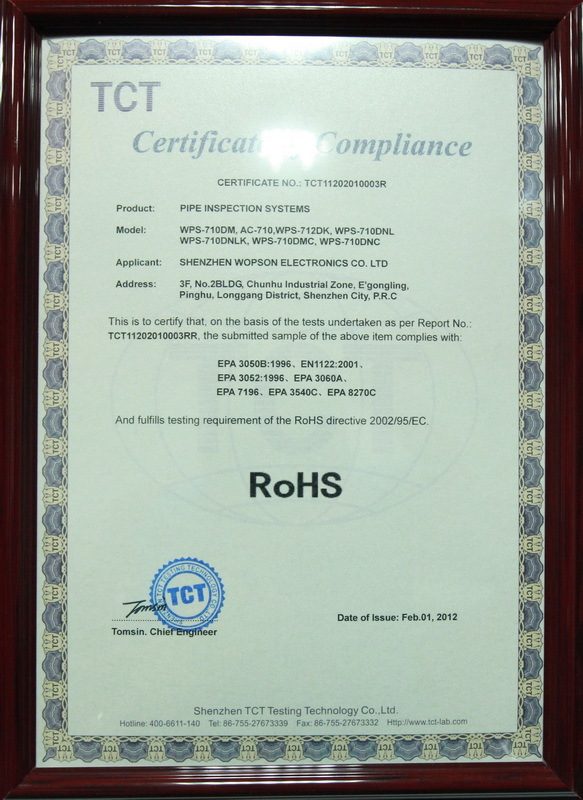 8YRSShenzhen Wopson Electronics Co., Ltd.
Shenzhen Wopson Electronics Co., Ltd. deals in all kinds of electronics and specializes in security and monitoring systems. Wopson has a production base in Shenzhen. 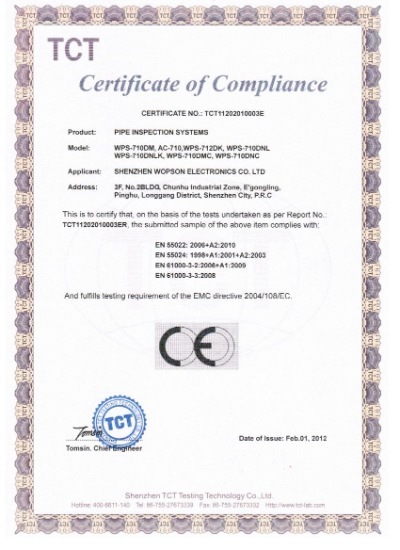 Our main products include CCTVs, special monitor systems, pipe inspection systems and DVRs. 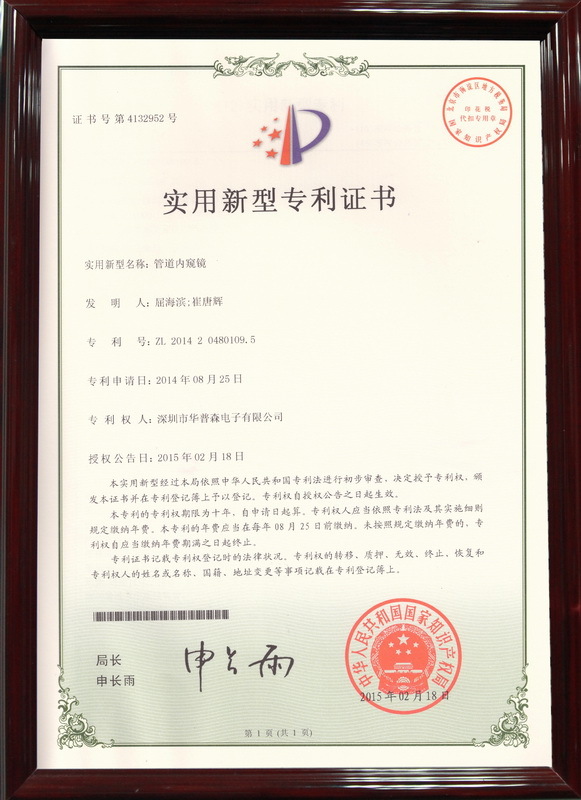 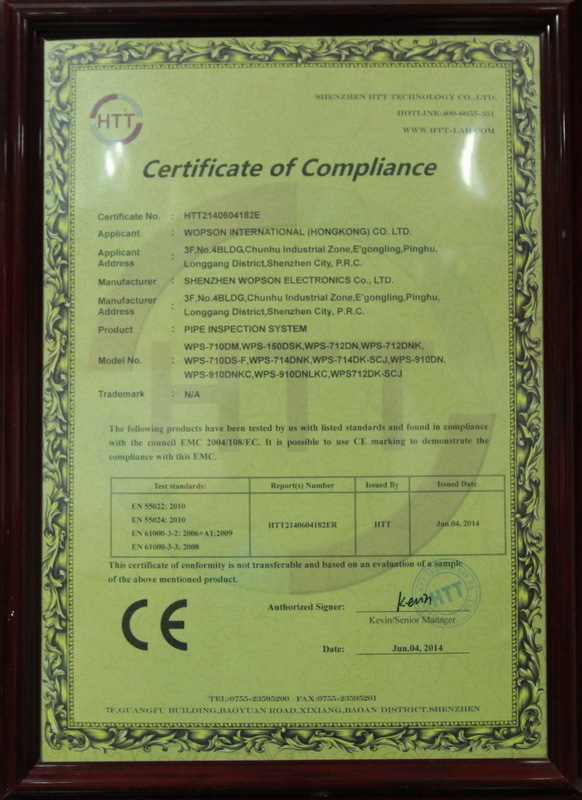 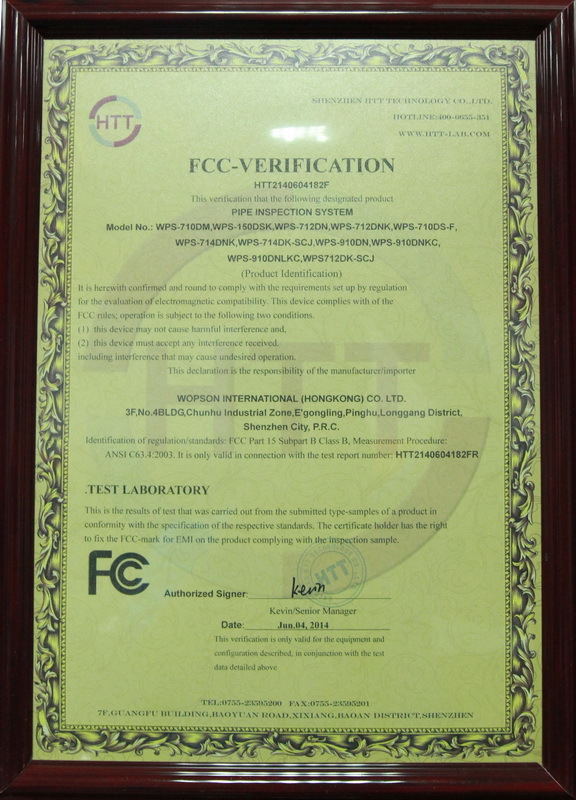 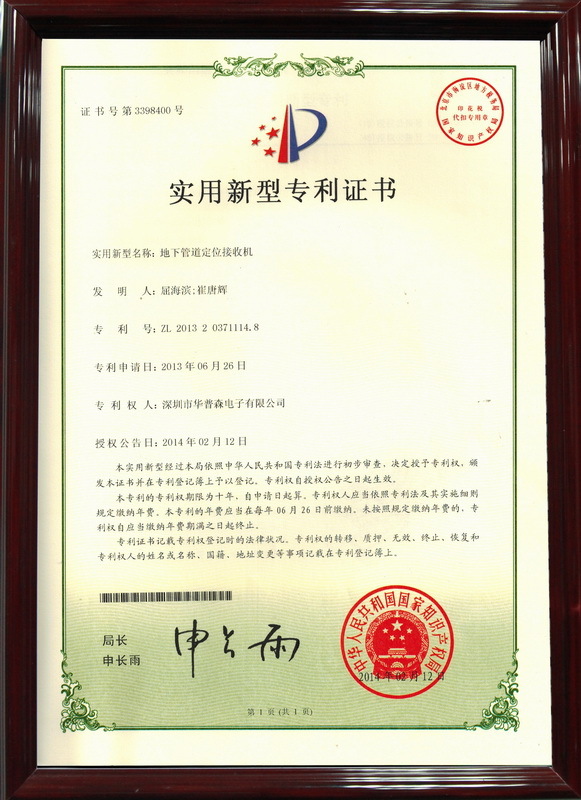 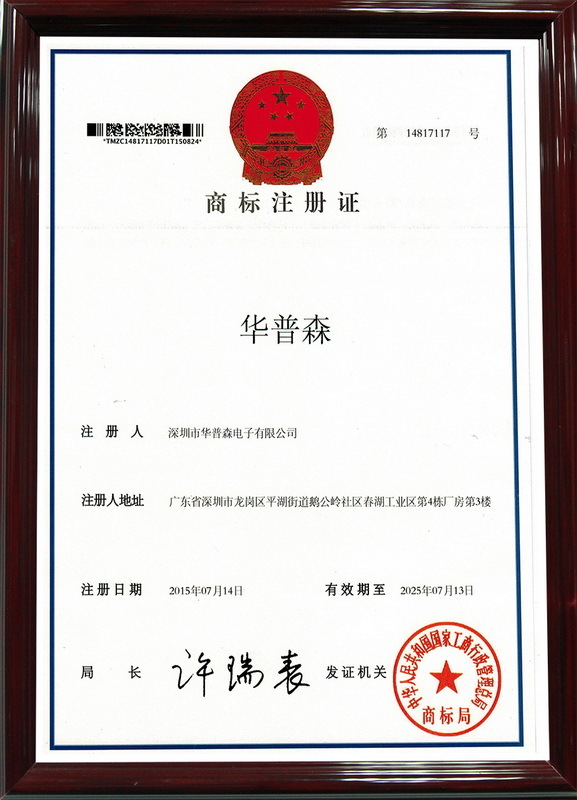 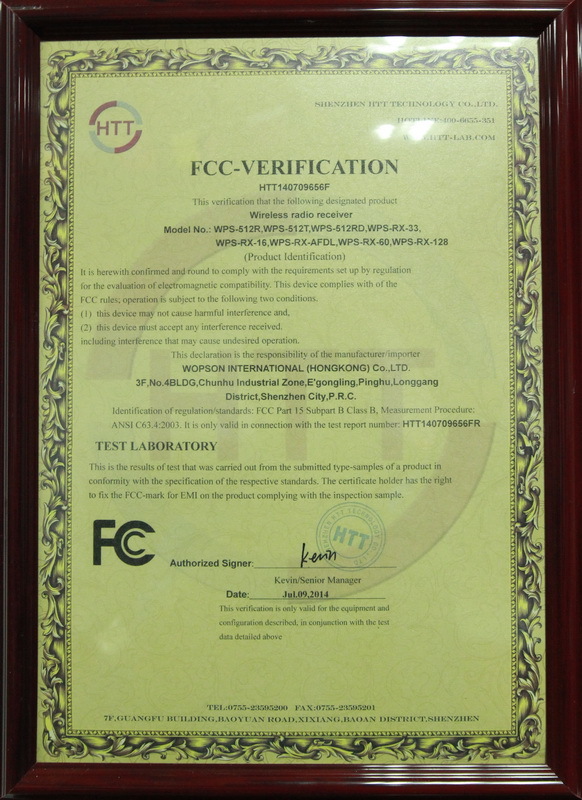 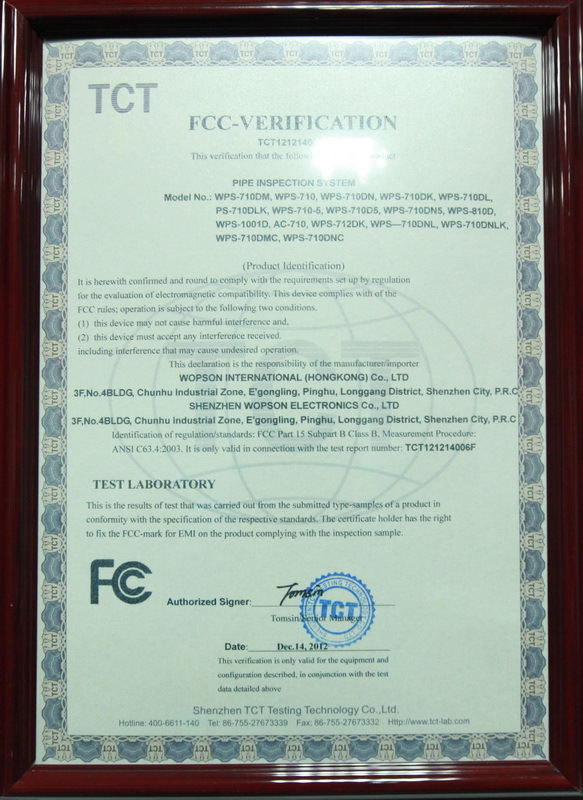 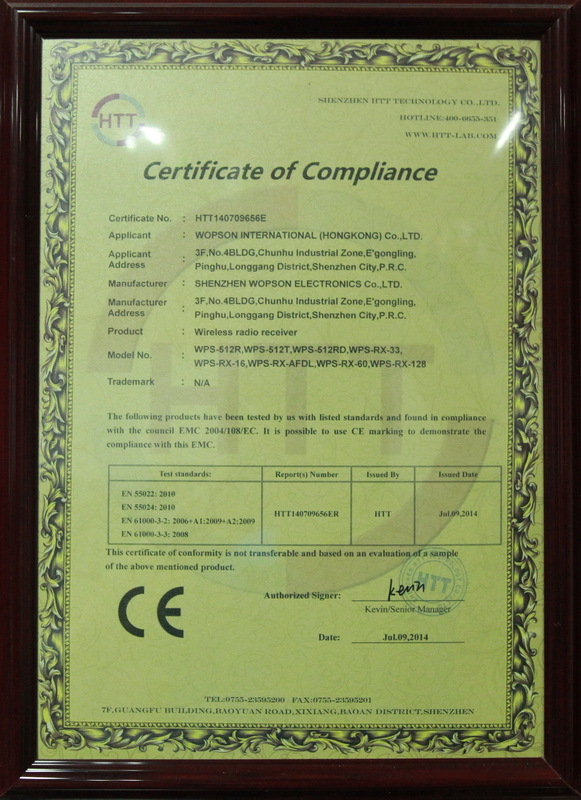 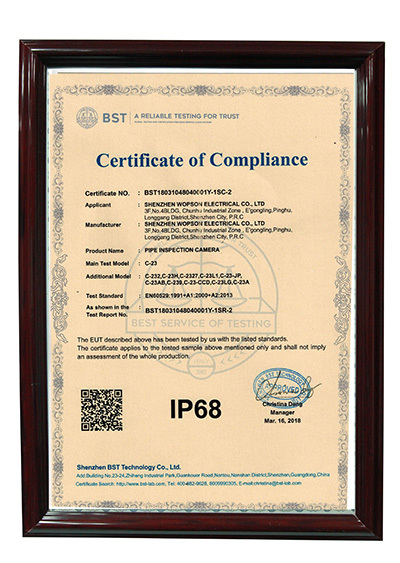 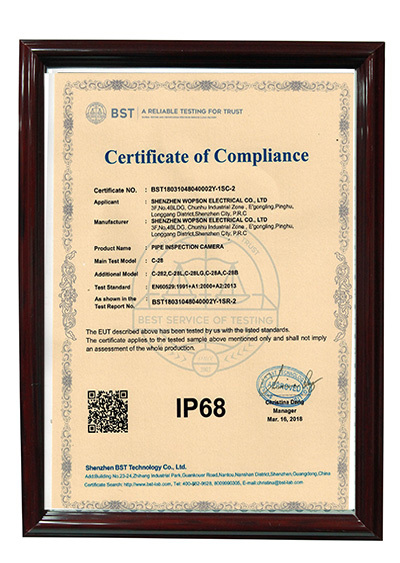 All of our products conform to CE, GS, BS, UL, FCC, FDA and RoHS certificates, and are exported to Europe, North America, Asia-Pacific Region, the Middle East, South America, etc. By providing high quality products and services for all customers, Wopson has already established good relationships with many leading companies in mentioned regions and received approval and praise from them. 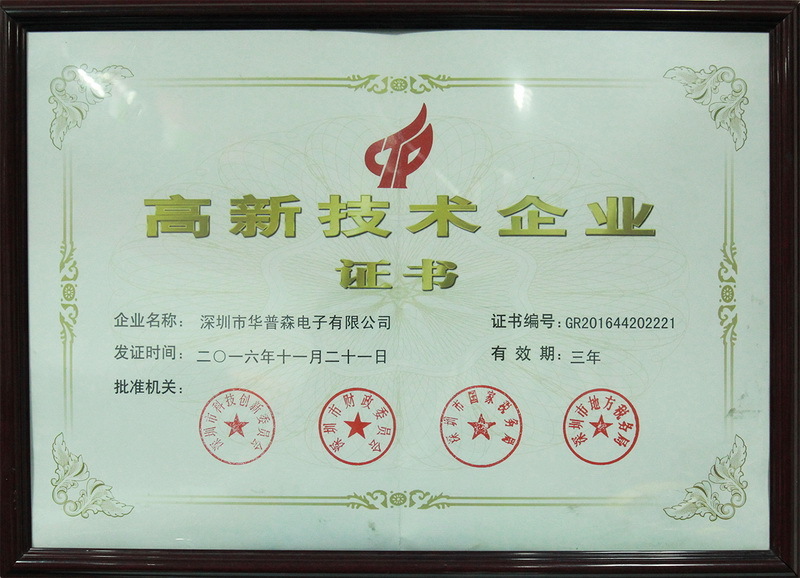 We will try our best to establish good relationships with new customers. 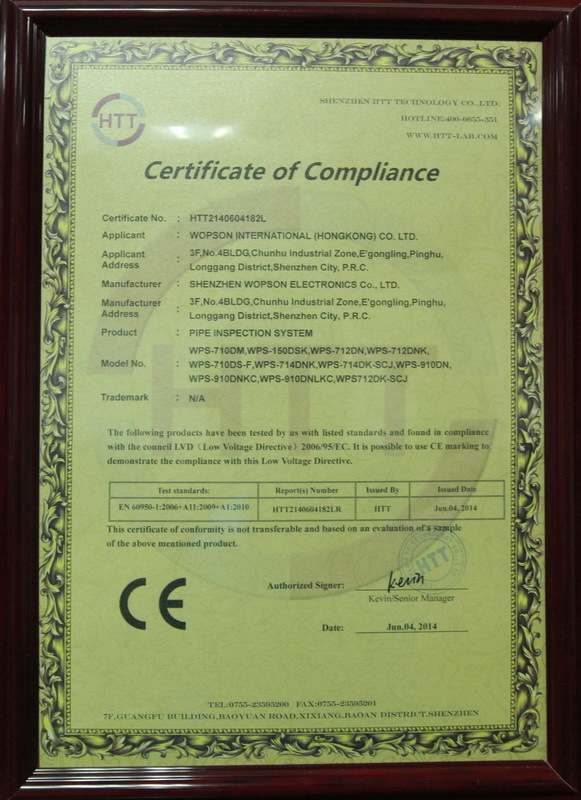 All kinds of OEM / ODM orders are warmly welcomed. 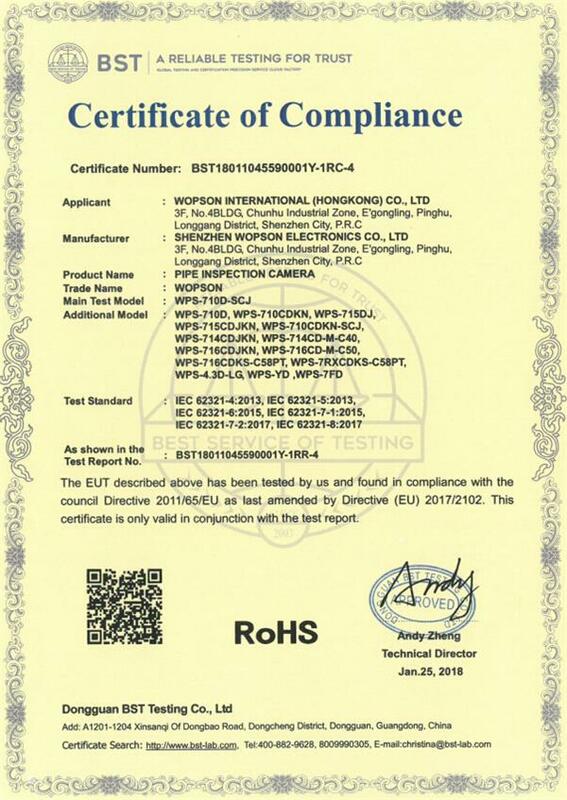 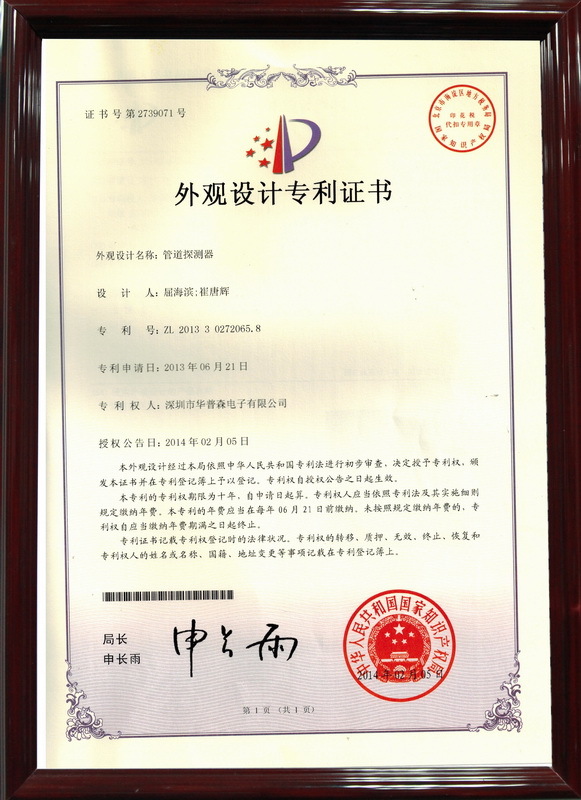 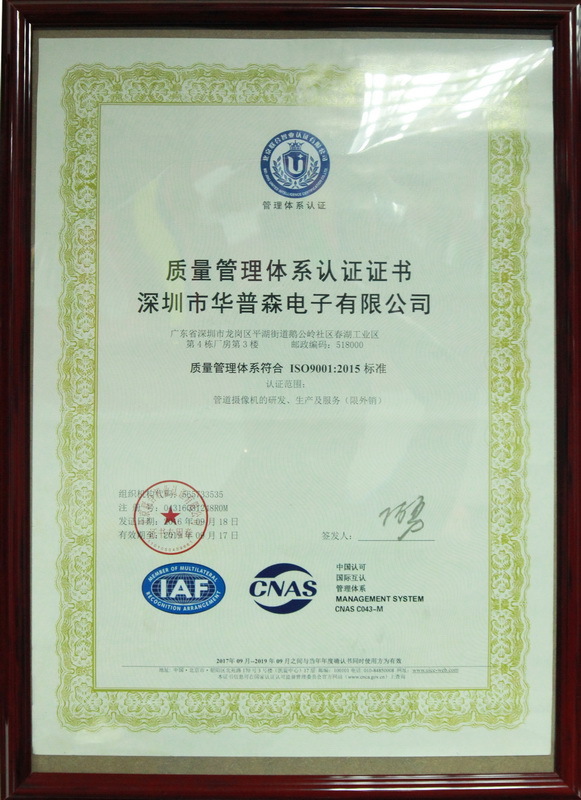 WOPSON is a national high-tech enterprise integrating the R& D, manufacturing and sales of pipe inspection camera area.